Located next to parkland and canal, it is a lovely spot to enjoy with the family with plenty of space for the children. This spacious 2 bedroom house has a fully equipped kitchen & laundry. There is an indoor bathroom and toilet as well as an outdoor toilet and shower. It features a large covered veranda, BBQ facilities and an enclosed back yard. There is plenty of room for driveway parking and street parking. This is a comfortable home for 1-2 families. Doonas, blankets & pillows are provided. Tenants need to provide own sheets (top & bottom), pillowcases and towels. Lounge room contains heating, air conditioning, four couches of which two are fold-out futons, large TV, DVD, Radio, CD player and wood heater. Mini Golf, Swim in surf beach (life-savers on weekends) or Lakes, Dodgem cars, Cruises to winery & Metung etc, Fishing, Golf, Push bike riding on rail-trail including rides to Nicholson & Bairnsdale, Nature walks and drives, Boat hire, Great photography opportunities, Galleries and a Variety of cafes, restuarants, pub and bars to choose from to dine at. You can do daytrips to Buchan Caves & other locations or take walks along the Ninety Mile Beach where you may spot dolphins swimming. It\'s a fantastic location where there is something for all age groups to enjoy. 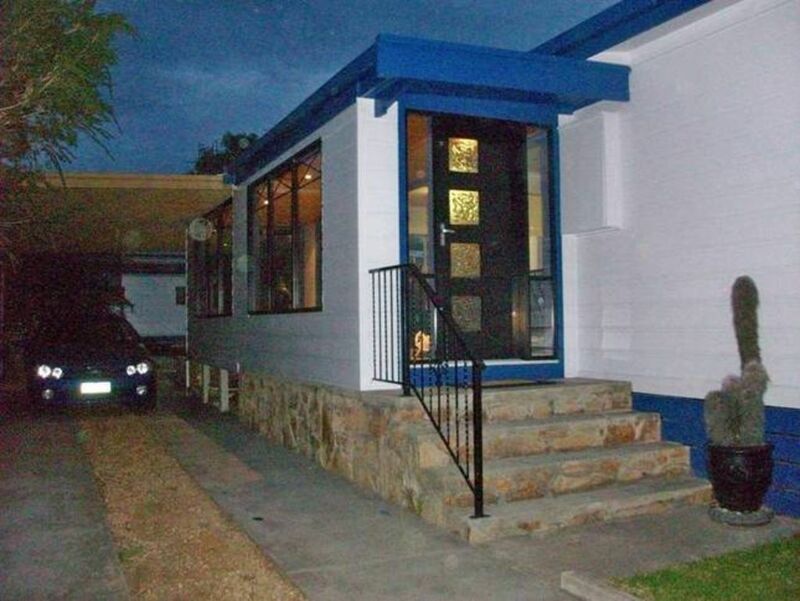 Very well located home, walking distance to shops and beach. Suitable for families. We thoroughly enjoyed our stay at lakes entrance. The house was perfectly situated do you could walk to the main strip. It was ist and warm as well and fit us all in perfectly. The accommodation was in a perfect location, very spacious and clean and a GREAT price! It had everything we needed for our stay and I would highly recommend anyone visiting the area to stay here - we definiitely will again. Just a quick note to thank you for letting us rent your house in Lakes Entrance. It was perfect for us. We had a great holiday and the kids had a ball.